Have you heard the $50,000 story about the charitable sector? Neither have we… YET! Post-secondary students are being challenged to create campaigns that speak about the collective contribution of charities. First prize $50,000! OTTAWA, Jan. 19, 2012 /CNW/ – When you think of the charitable sector, you probably picture individual charitable organizations and the excellent work they do. Or, perhaps larger sub-groups come to minds such as the health sector or the arts community. What about the bigger picture? How does the charitable sector as a whole ensure, improve and reflect the quality of life in Canada and around the world? The charitable sector is massive and multifaceted. Consequently, its collective impact may not be evident. Students (Verb) Charities is a contest that asks students at publicly funded post-secondary institutions to produce a public awareness campaign that talks about the depth, scope and reach that the sector has as a whole. Contestants can submit campaigns in any form or medium. 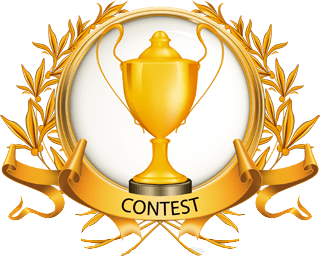 There is a total of $100,000 in cash prizes including a $50,000 first prize for the top entry, the second prize of $25,000, and the third prize of $10,000. Visit http://www.studentsverbcharities.ca for contest rules and regular updates. ← Liquid Lunch on ThatChannel.com!